Catechumens - USA: Monsignor Eamon Martin: will face Formidable Challenges; the legacy of clerical child abuse in the Irish Catholic Church, the reform of Abortion legislation in the Republic, and the Falling Church Attendance ! Monsignor Eamon Martin: will face Formidable Challenges; the legacy of clerical child abuse in the Irish Catholic Church, the reform of Abortion legislation in the Republic, and the Falling Church Attendance ! Monsignor Eamon Martin, current administrator of the Diocese of Derry has been named as Coadjutor Archbishop of Armagh. In a statement on Friday morning, January 18, at Saint Patrick’s Cathedral, Armagh, Cardinal Seán Brady, in the company of Apostolic Nuncio Archbishop Charles Brown, announced the appointment and expressed his personal delight that Pope Benedict had chosen Msgr Martin for the long-anticipated role. “My first reaction is one of great joy and great gratitude,” Cardinal Brady said. “I thank God for the gift of a new Coadjutor Bishop for the Diocese of Armagh. For his part, Coadjutor Archbishop-elect Martin described himself as “humbled and honoured” to have been chosen for his new role. In this, Msgr Martin expressed his thanks to Archbishop Brown for his support since his nomination to the Armagh post and said that, though fearful as he took on his new role, he now looked forward with enthusiasm to working with the people of Armagh. “I have much to learn from all of you, the people, religious and priests of Armagh,” he said, “and I look forward to listening to you and benefiting from your experience and wisdom. Indeed, I will concentrate my initial efforts on getting to know you. Eamon Martin was born in 1961 in Pennyburn, Derry. 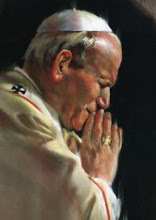 He was ordained a priest in Saint Eugene's Cathedral, Derry, by Bishop Edward Daly, Bishop Emeritus of Derry, on June 28, 1987. In September of that year Msgr Martin was appointed Assistant Priest, Parish of Templemore, Derry. He was appointed to the teaching staff of Saint Columb's College, Derry in September 1990 to teach Mathematics and Religion and became Head of Religious Education in the College in September 1997. Msgr Martin was appointed President of Saint Columb's College in May 2000. In June 2008 Msgr Martin was appointed Executive Secretary to the Irish Episcopal Conference in Maynooth, Co Kildare. Two years later in June 2010 he was appointed Vicar General of the Diocese of Derry by Bishop Séamus Hegarty, Bishop Emeritus of Derry. On November 18, 2010 Msgr Martin was appointed Chaplain to His Holiness Pope Benedict XVI and he was elected Diocesan Administrator of the Diocese of Derry on November 25, 2011. Since ordination in 1987 Mgr Martin has held the following responsibilities in the Diocese of Derry: Assistant Priest, Saint Eugene's Cathedral; Chaplain and member of the Board of Governors, Rosemount Primary School; member of the Board of Governors, Saint Anne's Primary School; Executive Secretary, Feis Dhoire Colmcille (civic festival); Diocesan Advisor in Sacred Music; Director of Sacred Music, Saint Eugene's Cathedral; trainer/conductor of Saint Eugene's Cathedral Mixed Vocie Choir and Saint Eugene's Cathedral Boys Choir; member of the Council of Priests; member of the College of Consultors; Vicar General; and Diocesan Administrator. As well as holding the post of Executive Secretary of the Irish Episcopal Conference between 2008 - 2010, Monsignor Martin is a member of the Council for Governance of the Episcopal Conference; member of the Northern Ireland Commission for Catholic Education (NICCE); member of the Catholic Bishops' Joint Bioethics Committee (of the three Bishops' Conferences of Ireland, Scotland and England & Wales); a Director of Saint Luke's Manchester on behalf of the Irish Episcopal Conference; a Director of the National Board for Safeguarding Children in the Catholic Church in Ireland.